When you have a little more to say than “Happy Holidays,” you need a greeting card with plenty of space for text. This graphic should give you plenty of room, and the balanced design perfectly highlights your text with a coolly seasonal aesthetic. 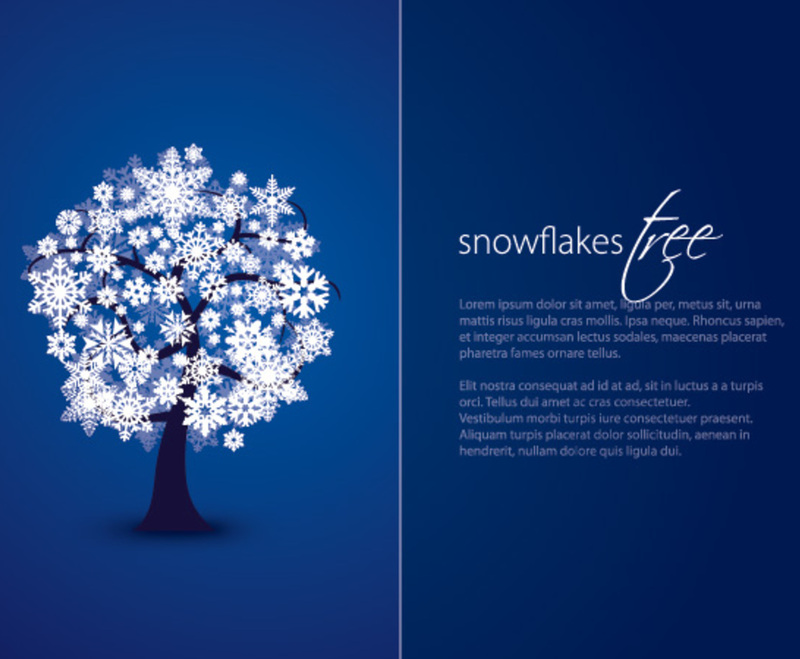 The deep blue field on the left of this two-paneled design features a stylized tree; instead of leaves, the branches sprout brilliant white snowflakes. The right panel is a darker blue with a slight gradient, which allows for a smooth look. A sample headline is printed in the same electric shade of white as the snowflakes. Two paragraphs of smaller sample text are ready for your edits.